The 6th EQUATOR Annual Lecture was presented by Dr Drummond Rennie, Adjunct Professor of Medicine, University of California San Francisco and until recently Deputy Editor (West), JAMA. The lecture was given during the meeting on “Improving reporting to decrease the waste of research“. We are moving through another period of radical change in the way scientists communicate with each other, but before we decide that all data and all analyses be instantaneously available, so that there are no journals, merely a continuous, undigested stream, somewhat like PubMed, and before we throw our promotions system under a bus, or make trial reports look like tax returns, we might consider how we got here, and in particular what’s happened over the past 4 decades. Scientific papers are arguments, sometimes backed by adequate data appropriately analyzed, which the author uses to convince readers to accept his or her conclusions. In the 1660s, investigators had to build up a system not merely to spread such information, but to agree on what the rules were for what constituted valid scientific facts, and to educate and persuade the wider public on how these facts differed from those derived from opinion or belief. Gradually, these rules for scientific arguments spread to the structure of articles, to help readers to know what to expect, and to make papers both shorter but more useful and complete. 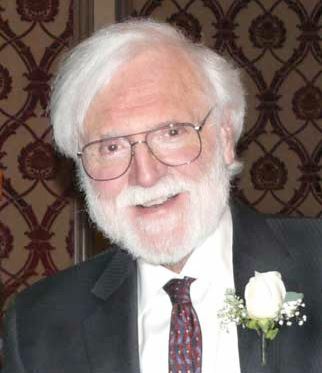 I have been an editor of either the New England Journal of Medicine, or JAMA for 37 years. In this talk, I shall give a one-sided, solipsistic, autobiographical view of the last four decades, seen from the position of someone at the center of the world of clinical research. The old problems with communication have not completely disappeared, and many new ones have emerged. Defining these and trying to manage them has produced a revolution, which I wish to describe. Many others played parts in this play, every one of them was more important than my own, but my lengthy involvement in all of them, added to the vantage point of my job, enables me link them usefully. Within a year of arrival at the NEJM in 1977, I became closely involved in the first cases of gross scientific fraud I, or anyone else, had seen. I learned that these cases wrecked careers, split institutions, and proved appallingly difficult to handle, given that no definition existed, nor were there any processes to follow, nor systems of adjudication. The injustice, delay and chaos that ensued angered me, and over the next two decades I and others worked hard to bring a workable, standard, routine system into existence and into US law. 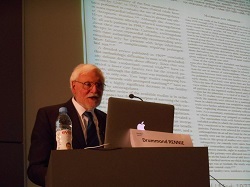 However, while these spectacular cases brought humiliated research institutions to their administrative knees, I realized from the start that there was a far bigger ethical and practical issue with the quality of the literature, and that this was unlikely to be due to this newly discovered phenomenon, deliberate malicious research misconduct. What seemed almost laughable to me was the abysmal quality of a proportion of published research. In 1979, I wrote about it as an ethical problem, but it seemed impossible to separate the ethical (badly designed research must be unethical), from statistical and methodological bungling. Since as an editor I spent so much time with peer review, it was clear that peer review was no bar to eventual publication. However, though it was probable that peer review was not the cause of the problem, perhaps it contained the solution. Impatient with the smug and evidence-free pronouncements of editors, I wanted a large amount of empirical research on the subject fast, so in 1986 I proposed and received JAMA’s backing for a conference to present research into peer review and related journal functions, of which almost none existed. The seven subsequent Peer Review Congresses, from 1989 to 2013, have stimulated a great deal research, but above all, have served as a focus to bring like-minded people together. They have had several striking consequences. First, investigation of peer review’s mechanics was easy and we soon had data about time, cost, perceived effectiveness and so on, but very few data on the cognitive processes of peer reviewers. Instead, large numbers of papers came in on the quality of the product, namely published articles. From the start, the Congresses were attended by thoughtful scientists like Iain Chalmers and Kay Dickersin who not only were worried about quality, but who had the tools and attracted the individuals to investigate. I discovered from their work that my own ill-focused worries had basis in reality. Research focused on the quality of published articles, rare at the start, blossomed. Whatever specific items were examined, in whatever journals, the message invariably was the same: reporting was frequently inadequate – a depressing message for an editor whose journal was frequently at fault. The development of the principles of structured reviews by Cindy Mulrow, and the widespread adoption of meta-analysis, were key to studying quality, and to the simultaneous development and expansion of the Cochrane Collaboration. With evidence from repeated demonstration of widespread biases and poor quality it became possible to make recommendations on reporting which, because they were evidence-based, would be credible. I shall give a personal review of the formation of SORT (and why it failed), Asilomar and then CONSORT (and why it succeeded), as well as the vital role of David Moher and Doug Altman. The ‘sons of CONSORT’, STARD and so on, are proof of its appeal, and EQUATOR is the most striking evidence for this massive revolution. Finally, I shall give a personal account of registering trials (2005). Once again, the evidence was around, plainly visible, but nothing happened until I, and many others, helped align the political stars, and legal threats made the pharmaceutical companies fall into line. John Ioannidis and Steve Goodman are among many solving the challenges of vast databases, and of replication. I was lucky enough to play a role in all these events, inspired by some very clever individuals. I could not predict any of this when I started as an editor. My message is simple: if you find something that gets up your nose: sneeze, and go on sneezing until you’ve cleared the obstruction. Drummond Rennie, MD, MACP, FRCP. I was educated at Cambridge University and Guy’s Hospital Medical School, London, where I carried out research into cyanotic congenital heart disease and received my Cambridge MD for this. Having been Deputy Editor of the New England Journal of Medicine when at Harvard, I was until recently Deputy Editor (West), JAMA, and an adjunct Professor of Medicine, University of California San Francisco. I am a nephrologist and have conducted numerous investigations in the Alps, the Andes, the Himalayas, the Yukon and Alaska on the pathophysiology of hypoxia. I originated and directed all seven International Congresses on Peer Review in Biomedical Publication, dedicated to the presentation of research into the process of peer review of manuscripts and grants, and the quality of the published literature. I chaired a multi-journal group researching interventions in peer review. I was co-director of the San Francisco Cochrane Center; I have served on the Proposal Review Advisory Team of the National Science Foundation; and have been a peer reviewer for numerous journals. I have been president of the Council of Science Editors and president of the World Association of Medical Editors. I am a founder member of the CONSORT, QUOROM, MOOSE, STARD and STROBE etc initiatives. Until we delivered our report to the US Congress in 1995, I was a member of the Commission on Research Integrity to the Public Health Service. I have formed a group to research the influence of money on the conduct and reporting of clinical research, and have been deeply involved with issues concerning distortion of the scientific record due to money, and due to intimidation of researchers. One of my chief interests is the transparent reporting of clinical research and improving both the clinical researcher’s understanding of influences upon this, and the general reader’s ability to dissect and draw valid conclusions from it. In this connection, I have co-edited the various articles and books in the series the “Users’ Guides to the Medical Literature” and the “Rational Clinical Examination”. I have also examined the issue of authorship of scientific articles, and the key role authorship plays in the life of scientists, and introduced changes to tighten responsibility on the part of authors. I received the 2009 AAAS Award for Scientific Freedom & Responsibility. I am a member of the Alpine Club, the American Alpine Club and the Tobogganing Club of St Moritz. My life is equally divided between United Airlines and my home in a forest, a mile from Buncom, a ghost town in the mountains of Southern Oregon. For further details, see my obituary: Rennie D. The living, structured auto-obituary. Lancet. 1996;348:875-6.